Factsheets and resources are available on our website. 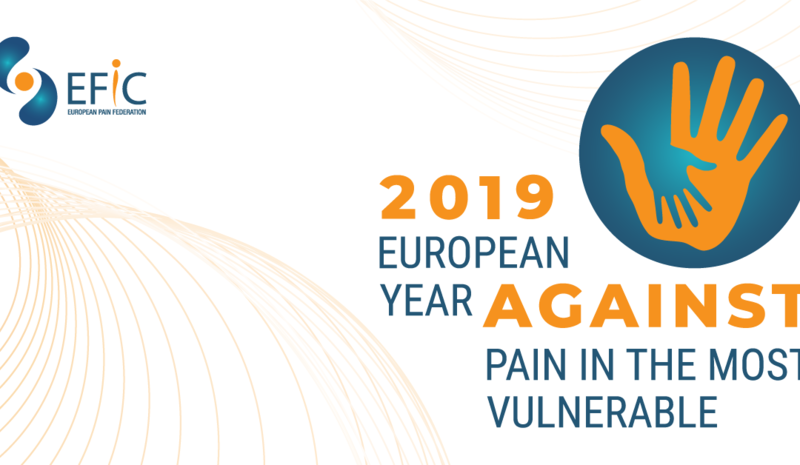 European Policy and advocacy resources and national best practices on pain in the most vulnerable are displayed, as well as Global resources from Pain and Pain Report. You will also find this Year Factsheets prepared by top experts on various aspects of vulnerable populations, free to download. Stay tuned for more resources and initiative related to the year against pain in the Most Vulnerable. We will include selected article from the European Journal of Pain and will have dedicated sections at our EFIC congress in Valencia touching upon various related themes. Want to take part in our project? Should you be interested in getting involved in our project, please let us know your upcoming Global and European Year activities! You can also follow the event on social media, following the #GYPainVulnerable and #EYPainVulnerable conversations on Twitter, Facebook and Linkedin. Including the Global Year logo and the European Year logo your website, event flyers, announcements, social media posts, and other material (various formats available here) is also really rewarding for us.